shadow + sonic =love. lol. Wallpaper and background images in the Shadow The Hedgehog club tagged: shadow the hedgehog and sonic. SHADOW IS NOT FREAKING GAY! SONIC IS! 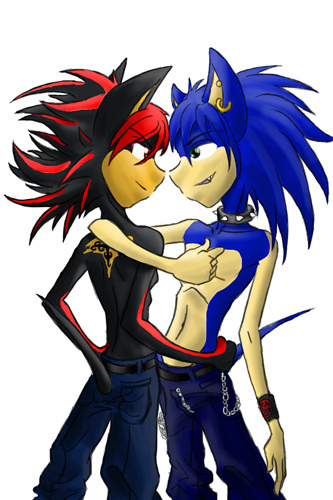 SONIC AND SHADOW R NOT GAY!!! gosh. how do ppl get these ideas?